Have you ever tried to be on other’s shoes? Personally I often find myself in some situations and conversations, to tell the truth, in the mentality of Albania are extremely common. I know, many of you just can’t understand what i am saying. But it is a big pressure and an anger that comes when I am facing such situations. 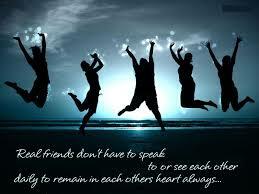 MY FRIENDS… !!! Let people living their life…please. Do anyone care about your life? Not at all, go and find a hobby instead. I won’t be there always listening you slander, backbite or mock other people’s lives. Is that empty your life, so your only word sound are to blame others, with no reason and no right?? Stop it, look forward, fight your life emptiness and be a support to your friends, relatives and family.